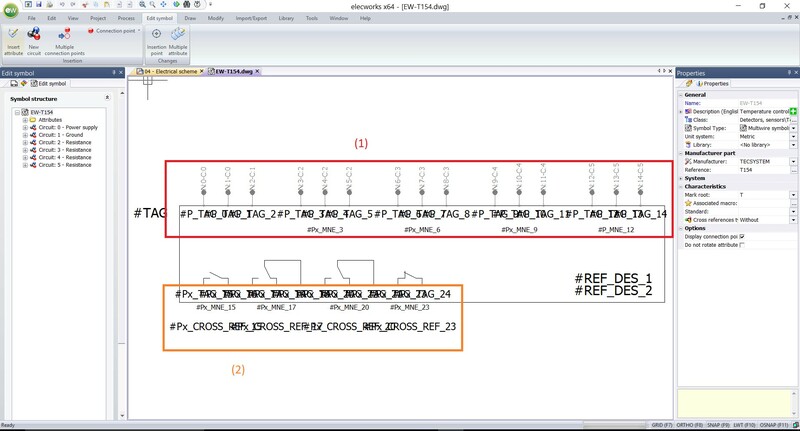 Purpose: Connect wires and show cross references information using one symbol. Connection label: to show cross reference information. It means that the user needs to work twice more and consequently might do errors. This “Tips & Tricks” details how to create a mixed symbol that can be connected and can show cross references at the same time. A temperature driver for transformers will be used as example. Below you will learn how to create a single component aimed at regulating the temperatures of electrical transformers. A multi-wire symbol is created with circuits and connection points for the power supply and PTC inputs (1). Then connection label attributes will be added, following the previously connection points order number (2). This action will be carried out by copying, pasting and renaming the existing attributes, because it is impossible to insert a connection label attribute in a multi-wire symbol automatically. When different contacts are inserted and associated to the component, the cross-reference information will appear automatically. 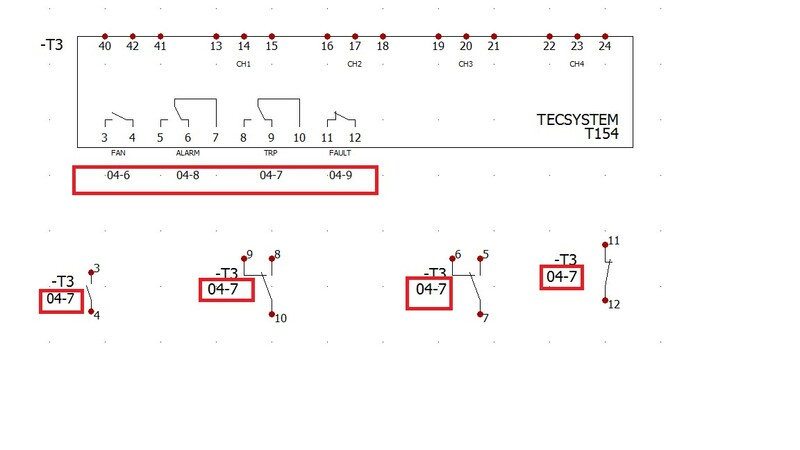 Thanks to only one block, two kinds of symbol are merged to connect wires and show cross references information, while minimizing the chances of error and maximizing your working time and productivity. Note: These symbols and references are available on our Electrical Content Portal. 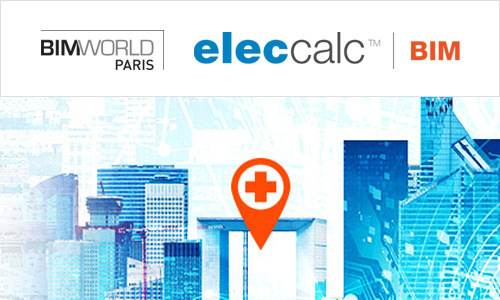 BARCELONA, Spain (March 17th, 2017) – [NEWS] Trace Software International will exhibit during the 2017 edition of BIM World in Paris on March 29th and 30th, 2017. For two days, BIM World will bring together +150 exhibitors and all the major actors of the building and engineering sectors to discuss the future of construction practices. Thousands of visitors are expected. “For engineers, constructors, designers and architects alike, BIM World will be ‘the place to be’ during these two days. As a matter of fact, our software solutions have been created in part for the professionals and experts working and evolving in the real estate and construction industry. Participating in this exhibition is crucial for Trace Software International,” Philippe Aupetit, Technical Director at Trace Software International, said. Our team will welcome you at stand 58/59 during the entire fair trade. We cannot wait to welcome you all during this great event that promises to be exciting and very instructive. Time: From 9am until 6pm. BARCELONA (March 1, 2017) – [ANALYSIS] Breaking all the records, 2016 became the hottest year in modern temperature monitoring according to NASA. Such alarming observation needs to be taken very seriously. 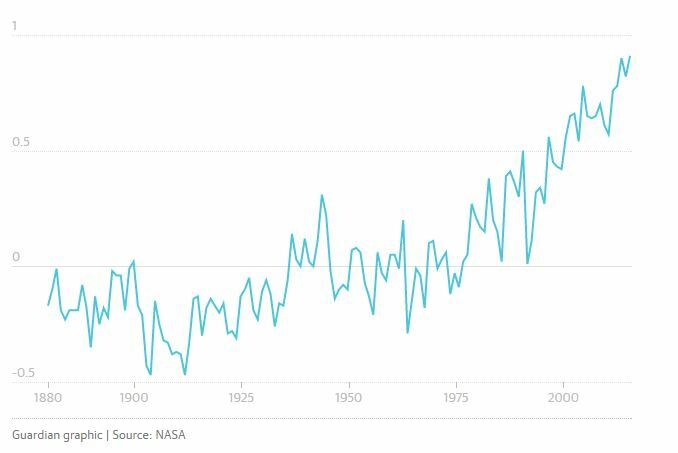 According to Gavin Schmidt, director of NASA’s Goddard Institute for Space Studies, “90% of the warning signal in 2016 was due to rising greenhouse gas emissions.” And for him, the upcoming year shouldn’t be any different. Source: Harvey F., “2016 locked into being hottest year on record, Nasa says,” October 18, 2016 in The Guardian. Maintaining our consumption level of fossil energies is not an option anymore. In order to maintain our standards of living while protecting the environment, alternative forms of energy – more responsible and eco-friendly – are needed. Green energies have been developed in order to meet these needs. According to a new report by Bloomberg New Energy Finance, solar power – energy from the sun converted into thermal or electrical energy – is now one of the cheapest form of new electricity on the market. Multiple countries are investing more and more in this form of energy. Until 2013, France, Germany, Italy and the United Kingdom leaded the way as the biggest producers and consumers of solar power. However since then China has overtaken these countries, becoming the country with the highest number of installations at 44GW in the world. The United States and Japan are also expanding their investments and will probably distance Germany in the near future. Latin America is also getting more and more involved in the global development of the solar energy market. 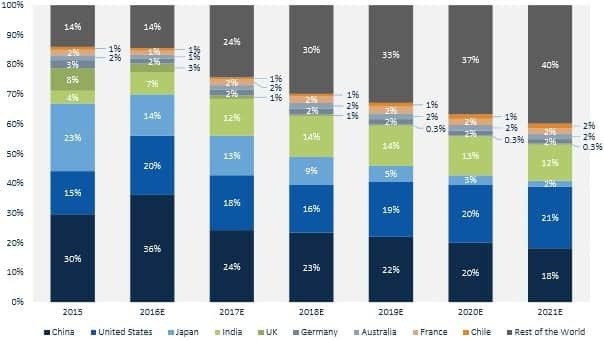 Brazil, Chile and Mexico are set to install accumulative 26GW by 2021. The solar energy market is growing exponentially: civilians, governments and companies are now considering seriously this alternative. Cheap and ecofriendly, solar power is now the best solution to help us reduce our foot carbon print and limit global warming. According to the Office of Energy Efficiency and Renewable Energy, photovoltaic is defined as “the direct conversion of light into electricity.” Thus a photovoltaic system is defined as “a complete set of components for converting sunlight into electricity by the photovoltaic process, including the array and balance of system components.” Nevertheless such photovoltaic installations need to be well managed in order to maximize their efficiency. 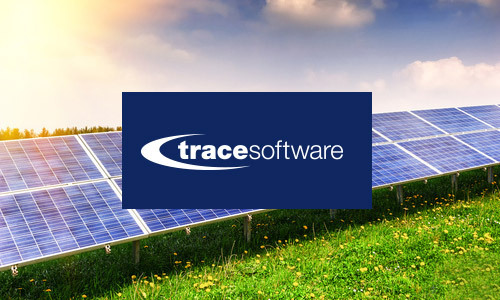 Keeping this major priority in mind, Trace Software International have created the photovoltaic software archelios™. archelios™ Suite is a unique software solution that helps engineers, installers, consultants and investors work on the entirety of a photovoltaic project; from the feasibility study to the complete generation of the calculation notes and documentation that are needed for the implementation of such type of projects. archelios™ Pro is an online application aimed at creating the complete design and feasibility study of any type of photovoltaic installations based on a 3D simulation and thanks to an updated worldwide database (from solar panels and inverters to meteorological stations), horizon masks, custom or manual string wiring and the most precise yield calculation (according to Photon Labs and the IJEEE). It allows the user to export his projects as a complete PDF report to MS Excel, AutoCAD and to archelios™ Calc. From May 30th until June 2nd, Intersolar Europe will take place in Munich (Germany). World’s leading exhibition for the solar industry, Intersolar will bring together 150 speakers, 1,200 exhibitors and over 40,000 visitors. Strongly involved in the preservation of the environment, the Solar Division of Trace Software International will take part to this major event and will launch archelios™ O&M, its new software for operation and maintenance of new and existing photovoltaic installations. Solar power and photovoltaic systems are our future. It’s time for action: together let’s make the planet a better place for the next generations.